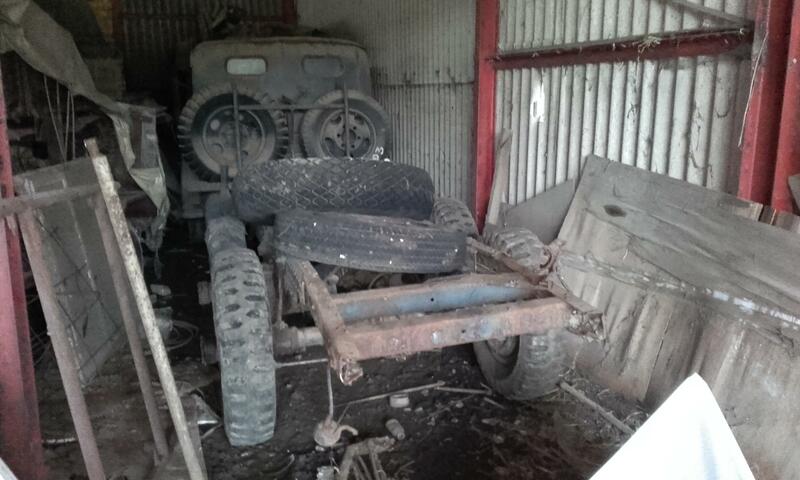 Right,here we go again, restoration number two!! 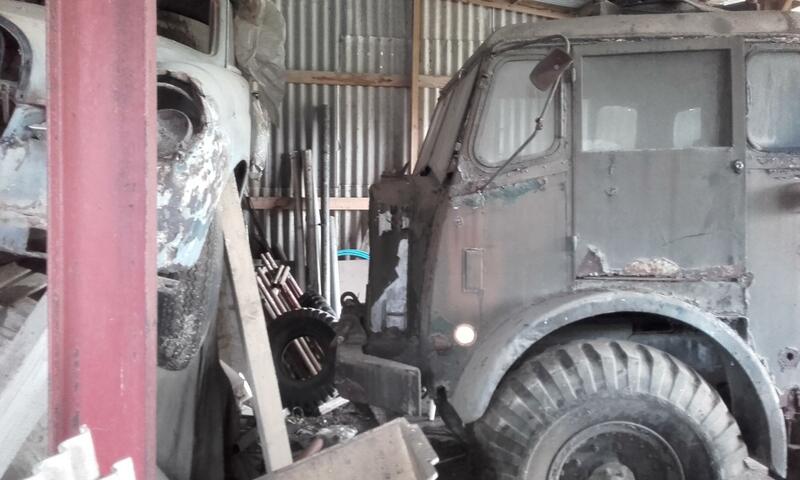 I was at a show a while back with the Militant Timber Tractor, and was asked,“Now you have finished this restoration, will you do another?” No chance says I, one is enough!! I was reading the December Classic Truck Mag and spotted a for sale advert. 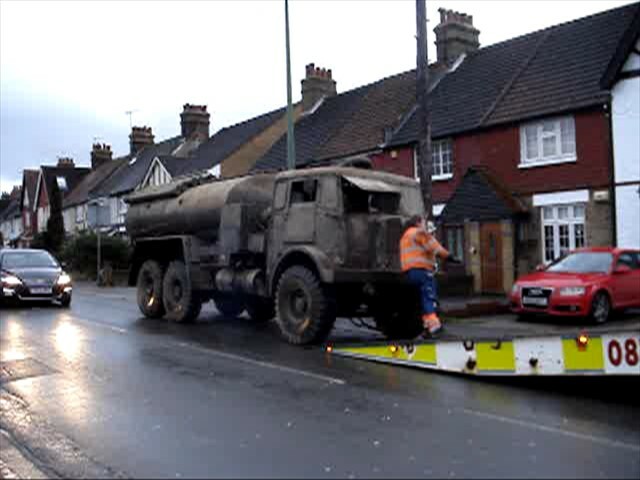 Mk1 Militant with Atlas crane located in Kent. As I know these are a sought after beast, I thought I would have a look,take as few photos and post a thing on here for those who maybe interested. As it goes the motor in question is well shot. 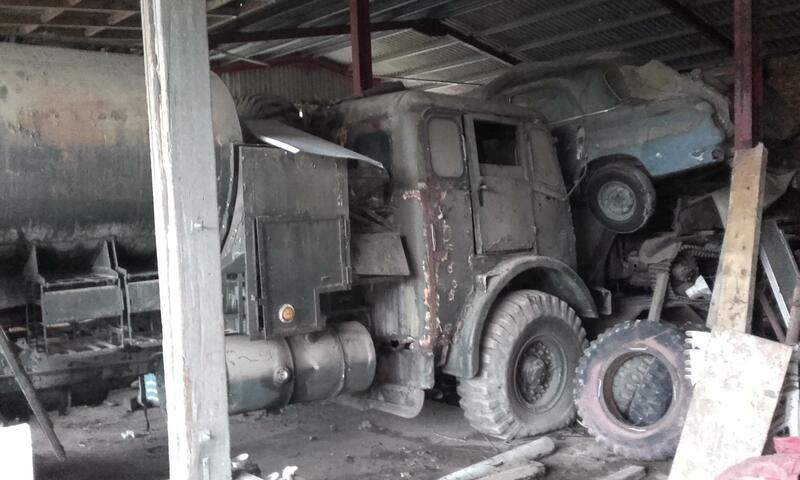 Not only has it had a hard life in the timber trade, it has been welland truly butchered, (Engine changed for the wrong one, knackered cab) and thoroughly beaten to death. That said,the Atlas crane is good, and it is still for sale if anyone wants it. To get to have a look at it, I had to walk past this barn. You know the feeling you get when the hairs stand up on the back of your neck,shivers down the spine etc. I got the whole works!! 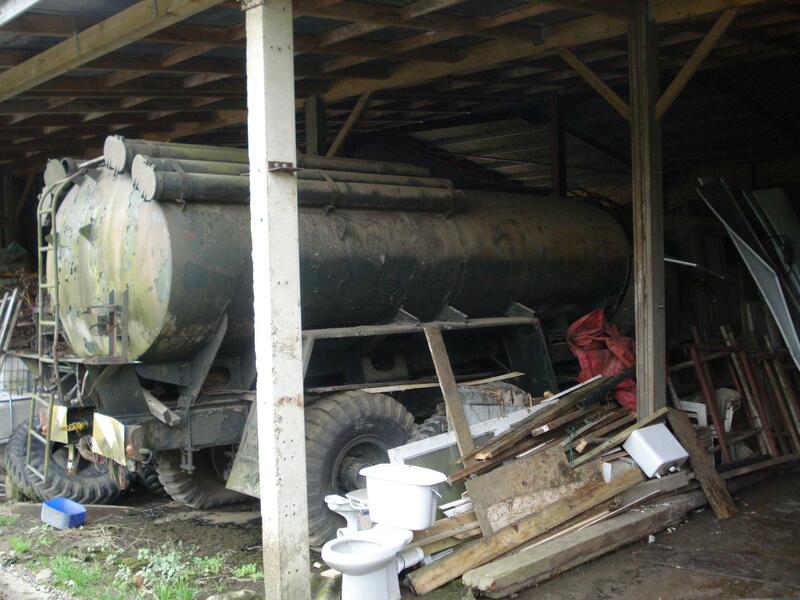 Clocked the Tanker straight away. ‘kin’el didn’t think any would still exist but I’m staring at one in this barn!! So I’m trying to look at the Atlas and seem interested, but I’m thinking TANKER!! Anyhow,I managed to discuss the Atlas with it’s seller, declined to make him an offerand walked back past the barn. 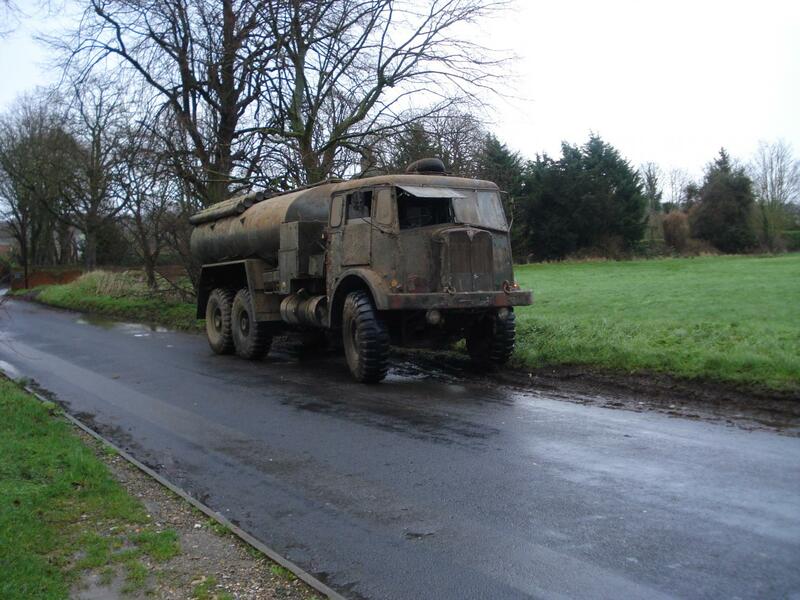 “What’s the Tanker?” Trying to sound nonchalant, but the brain is screeming TANKER!! Story goes like this. 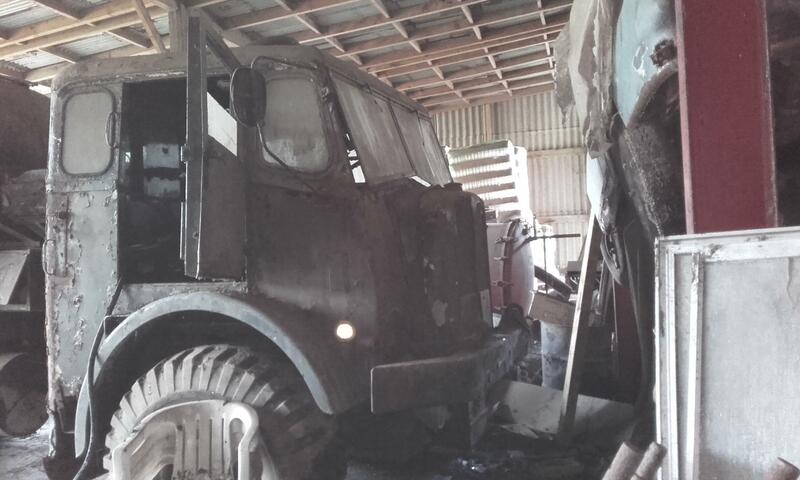 He used to run buy ex Military stuff to export to Kenya and South Africa, but the company he exported to went bust, and he was left with several motors and no contract, so they got parked in this barn. Late eighties/early nineties, been there ever since. 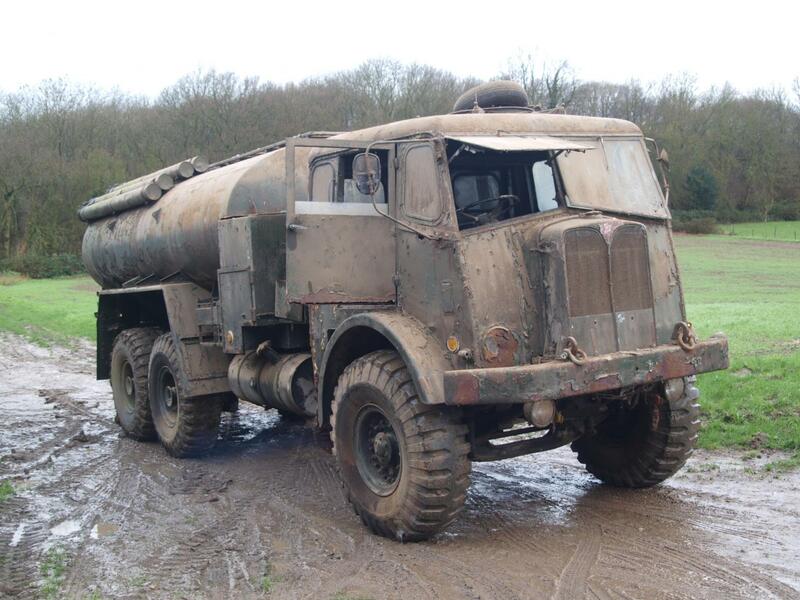 The tanker is straight out of the auctions, completely unmolested and to all intents and purposes ready to roll. Did think about it for a couple of days, and obviously had to get the vote of confidence from Der Oberfurher (Wife) which wasn’t easy but we are now full steam ahead. First move is to clear the crap that has been stacked up around it. This has allowed a full inspection of the potential. Biggest issue is the Mercedes that is now sitting on the radiator. It wasn’t actually touching it at first, but disturbing everything else allowed it to slip downfrom it’s perch and gently rest on the top of the rad cap. 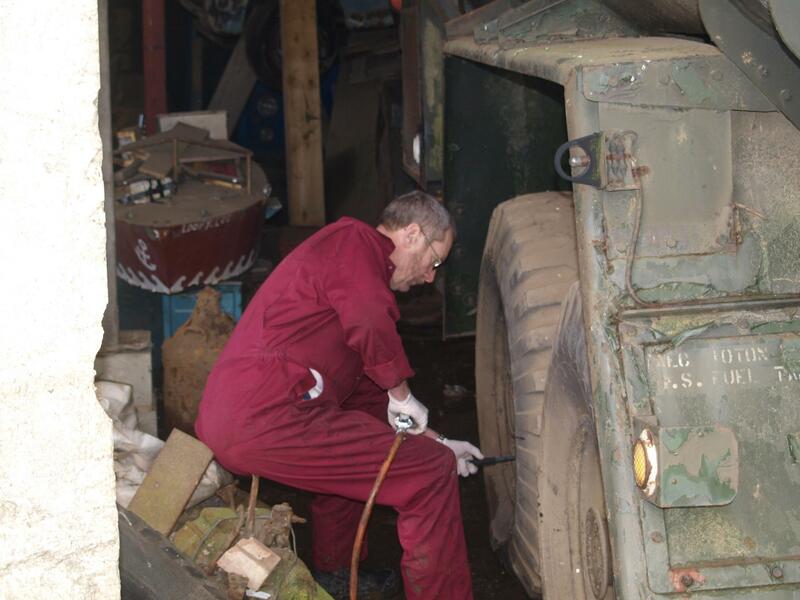 Everything seems to be well seized, took a good bit of fiddling just to get the drivers door open, but generous applications of WD40 on the handle finally got it moving and we were in. Cab is all there as described, but the first bit that grabs your attention is the steering wheel which has definitely seen better days. Not only that, it is the wrong type anyway. Good for a later Militant, but the early ones had a solid iron wheel, so that’s the first requirement. 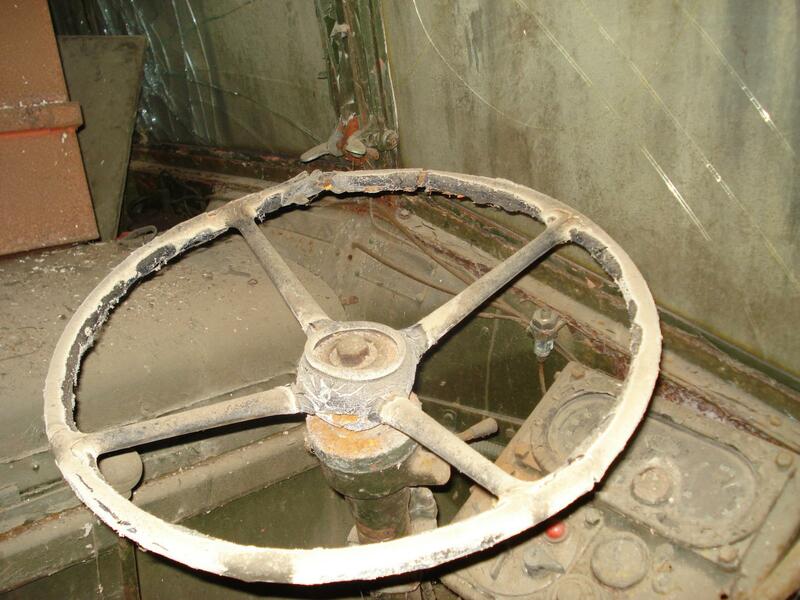 Any one got a steering wheel that is better than this?? Next move is to see if it will actually run. It still has the 4 six volt batteries it would have had while inservice, and after all this time they are probably a bit flat. 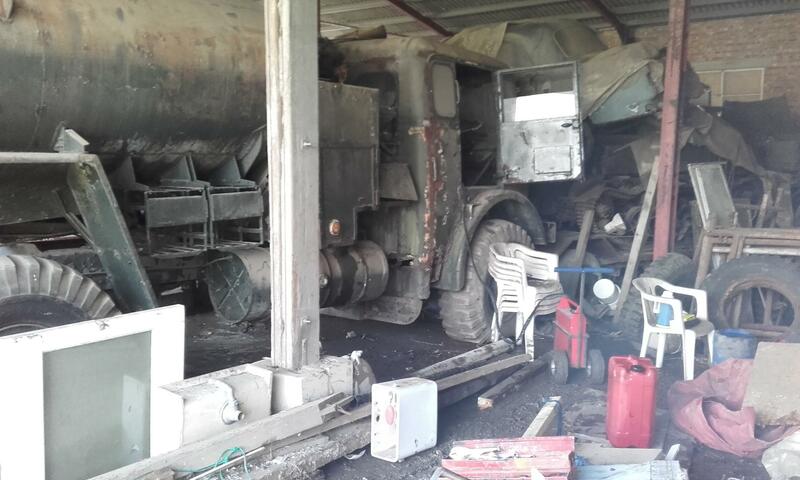 Engine oil seems good, but someone has syphoned out the diesel tank. 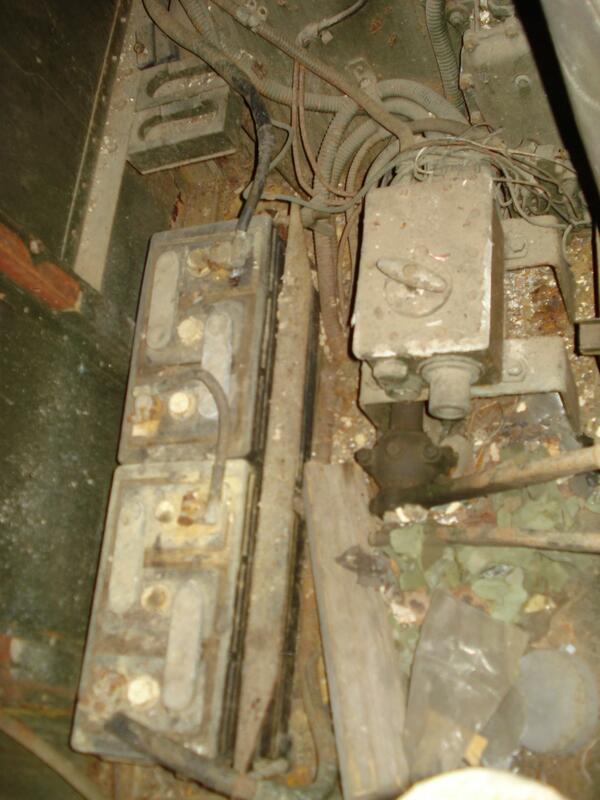 So tomorrows job, fresh batteries, fresh juice and see what happens. 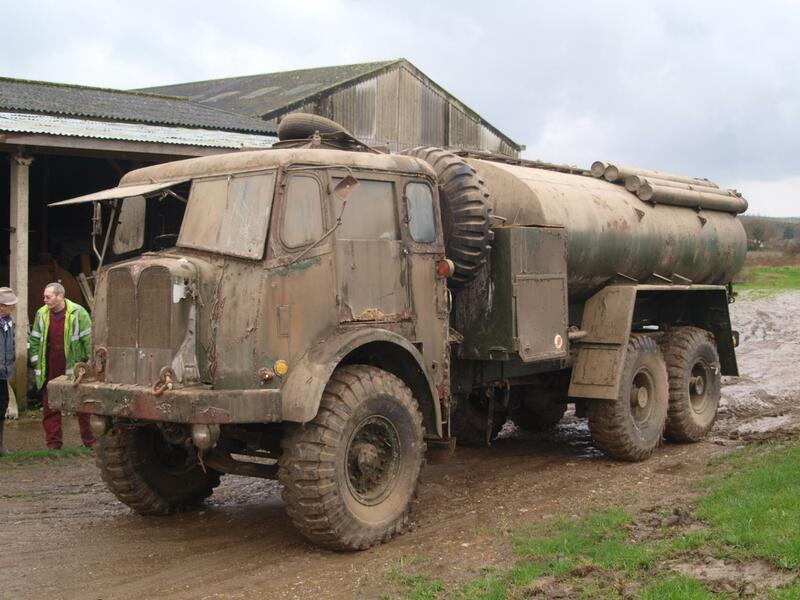 My bet is that being an old AEC it will do half a turn on the starter and fire into the gentle tickover that you would expect. I’ll let you know. Is that something tracked I see under the Mercedes? Well spotted - I missed that. It's a Loyd carrier ! 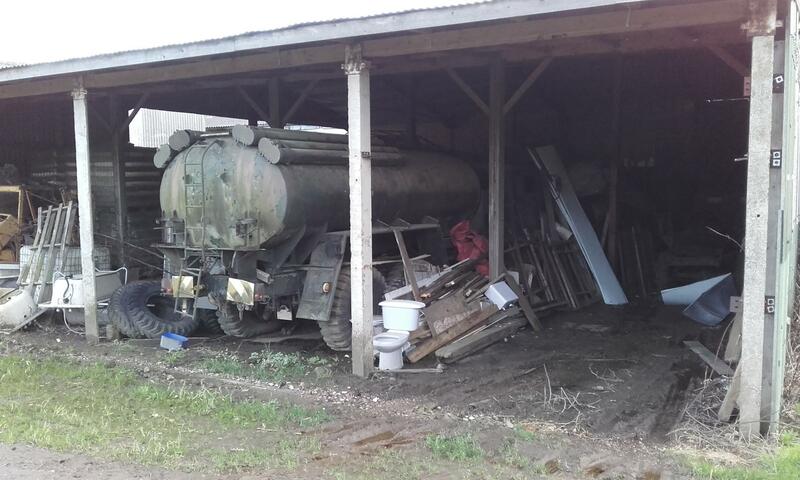 Very desirable in almost any condition. Nice find Rob, I hope you bought your wife some waterproofs for Christmas , she will need them with all that steam cleaning coming up ! remember to make sure the pump rack is free before trying to fire up , don't want any tears :cry: . I look forward to viewing your progress. Excellent stuff, do 2 militants qualify you for 'fleet' status? Very nice find indeed, look forward to following the restoration thread. 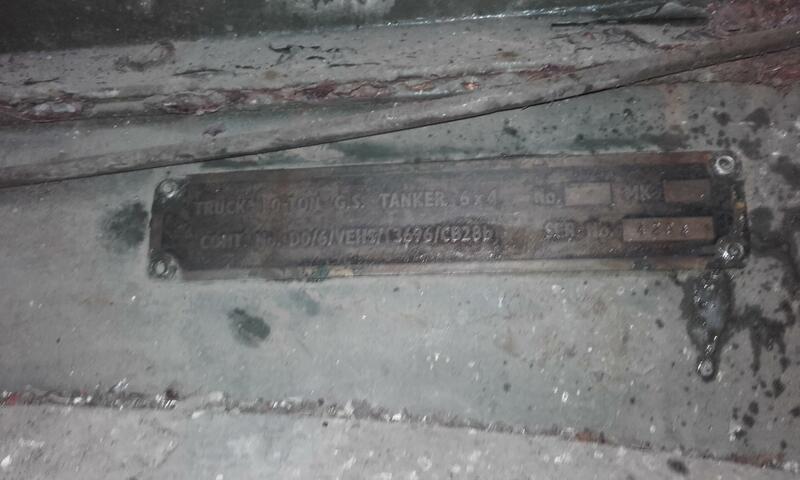 Out of interest how many tankers were made? Day two of the new toy and next batch of photos. Still looking round it and assessing the condition etc. The aim just now is to get it ready to be towed to it’s new home. 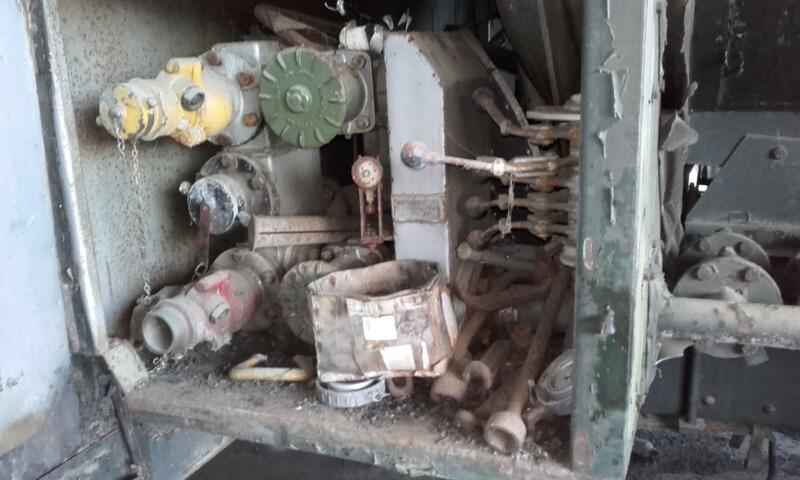 First intention is to get the engine running and make sure that is OK. Build the air up and use the tyre inflator to put some air in the podgy tyres, before finally moving on to freeing off the handbrake, which appears to be jammed on. Hopefully then it can be moved out of the barn without any unceremonious dragging. There is also the other issue of the radiator mounted Mercedes! 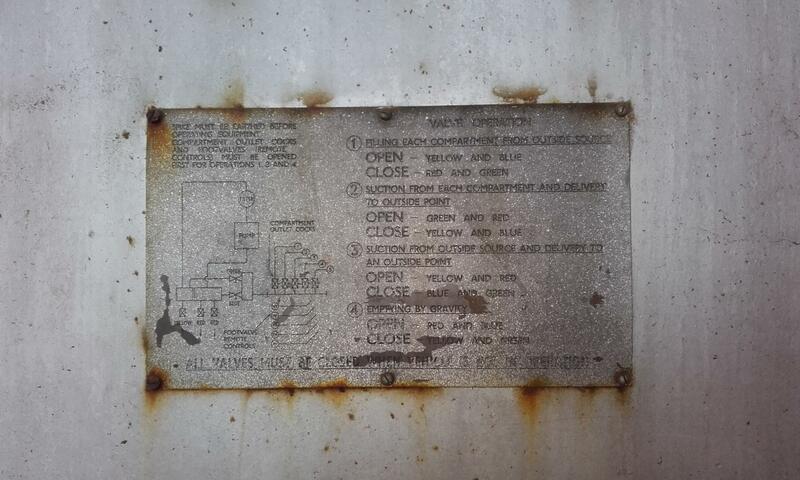 As John pointed out earlier, I checked out the fuel rack and stopping mechanism, to prevent any panics. Good advice too, as I found the throttle linkage to be partially seized and very stiff to move. To stop a Militant engine the throttle pedal is lifted by hand which moves the fuel rack to the stop position, so that needed sorting. Putting some diesel in the tank was also fun. The pump control/tool cupboard thing is a bit too close to the tank filler for life to be easy. I ended up making a funnel out of a pop bottle and a bit of hose I found at the back of the barn, and pouring diesel out of a bucket that was also lying around. Thankfully I didn’t spill too much. I had a spare couple of batteries in the shed so they have been on charge the last few days and were bunged on as a temporary power source, sort of balanced on top of the old six volt ones. Turned on the isolator and one Side light came on. I felt I should congratulate it for making the effort, because it was the only thing that did show any life. On the plus side, nothing shorted out so not a total disaster. Bit of rooting about in the connectors behind the drivers seat unearthed the starter trigger feed cable. 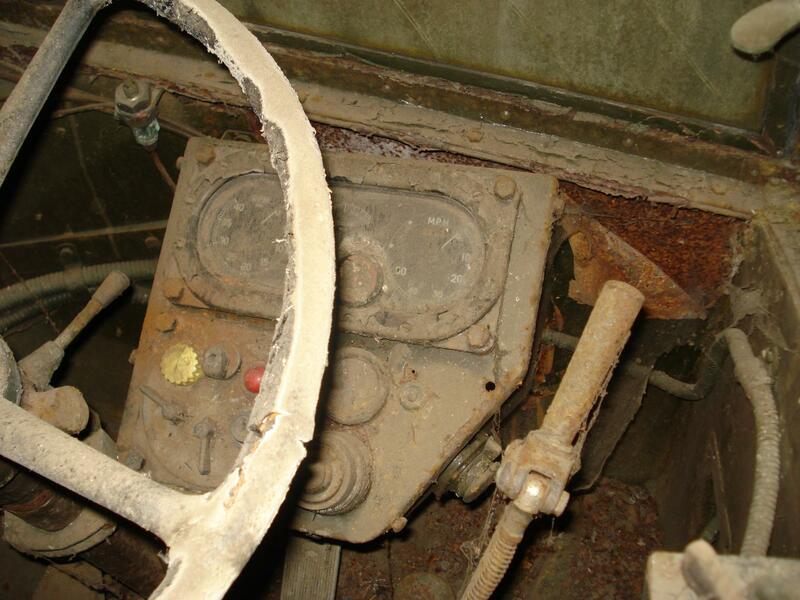 A quick hotwire to it will “hopefully” fire up the motor. It nearly did! Not a good time to find out my two spare batteries aren’t all that. Must have been the side light draining all the juice, there was barely enough to get half a turn on the starter. Fortunately it is not too far from my place of work/daytime attendance, so a quick run down there and borrow a boost pack. Can’t say it made a world of difference, still only one side light. Did crank the starter better, and I’m very pleased to say the motor did just as expected, it fired up straight away. Bit unsteady at first, but as all the cylinders joined in she settled down to a very nice tickover. Left her ticking away to herself for 10 minutes, while checking for leaks etc. I was expecting a bit of a smoke cloud when she first fired, but there was only a minor haze which cleared very quickly. Next step, see if she will move, clutch, gearbox etc to check, but first, that Mercedes. 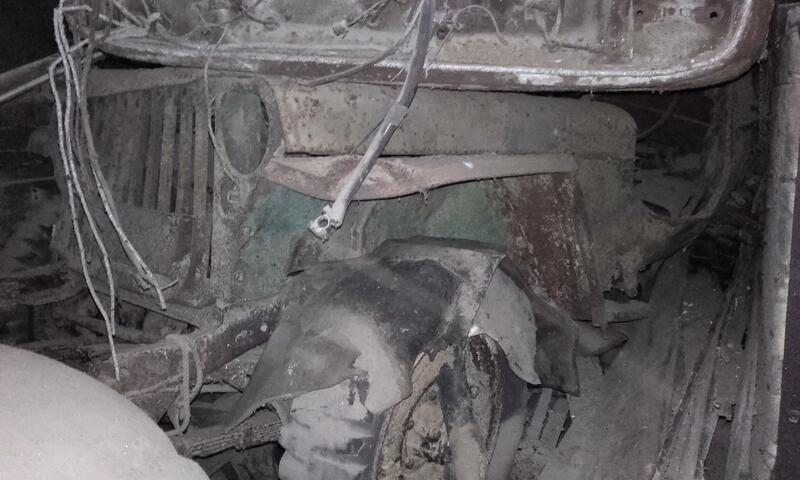 Found a length of rope which I lashed onto the near side of the thing and over behind it, and then a second plank of wood wedged under the front wheel arch. If it did move at all it should kind of pole vault on the plank and this should prevent it from dropping down the front of the Tanker. Right,Time to grit the teeth and see if she will move. Sat in the cab and opened the windows as far as possible to keep an eye on the Merc. Checked air gauge, nothing! No air build at all. That has scuppered any plans of blowing up tyres. Nevermind, press on, engage Low Ratio and Reverse, clutch up gently and she rolls nicely. 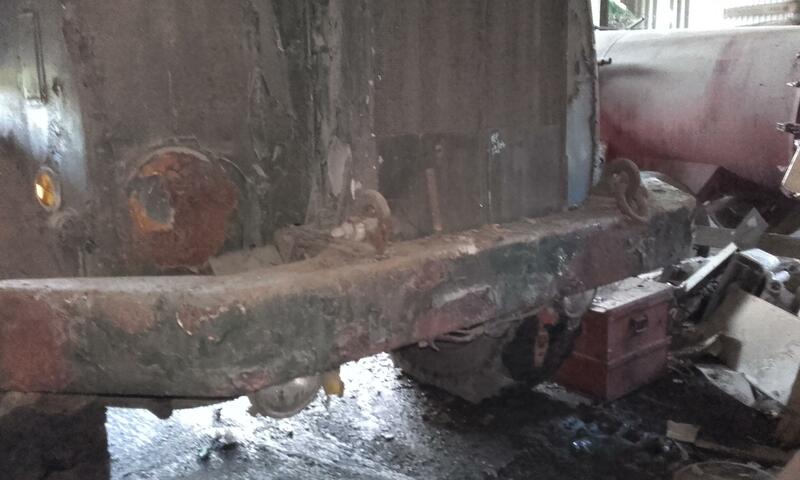 Mercedes creaks a bit as it’s weight goes down onto the second plank, but it stays put. Clutch down and she rolled back onto the merc. OK, second go, this time move back and then put handbrake on. But,so busy had I been worrying about Mercedes, I’d forgot all about freeing off the brakes, the handbrake is already on, and a fat lot of use it is too. 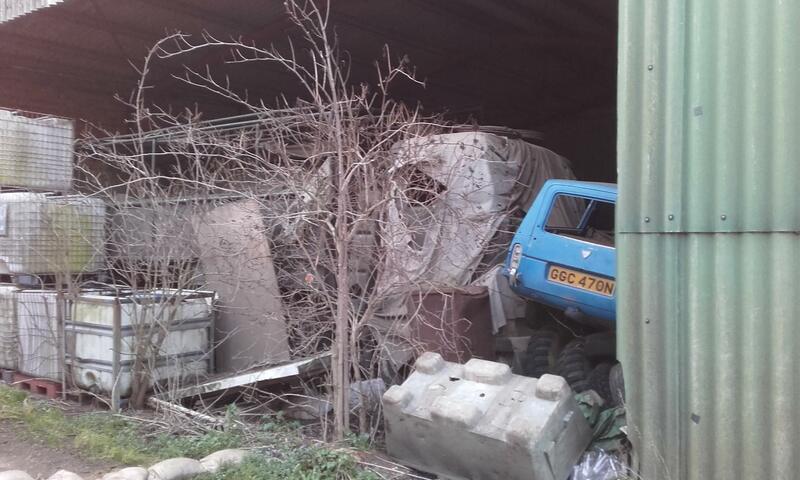 Got it in the end though, backed up away from Merc, wooden blocks under wheels to prevent any further rolling away. 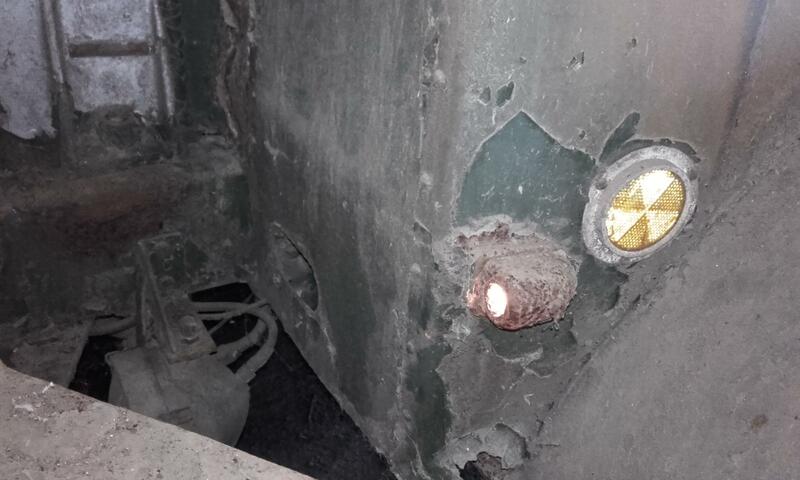 Managed to get handbrake off eventually, good bit work with a club hammer, there is obviously an issue here with parts of the linkage seized, but more importantly when the brake was on it wasn’t holding, which would suggest there is a problem with the shoes as well. Managed to get the near side control box open, this contains all the gubbins that make it all work, valve controls, hose outlets, and all the tools for linking hoses and such. There is also a load of other bits and pieces of tube and hose in here which will need sorting out. Not a bad days work in all, just about ready to move now, all that's needed is to pump tyres up and we can use the wrecker for that. 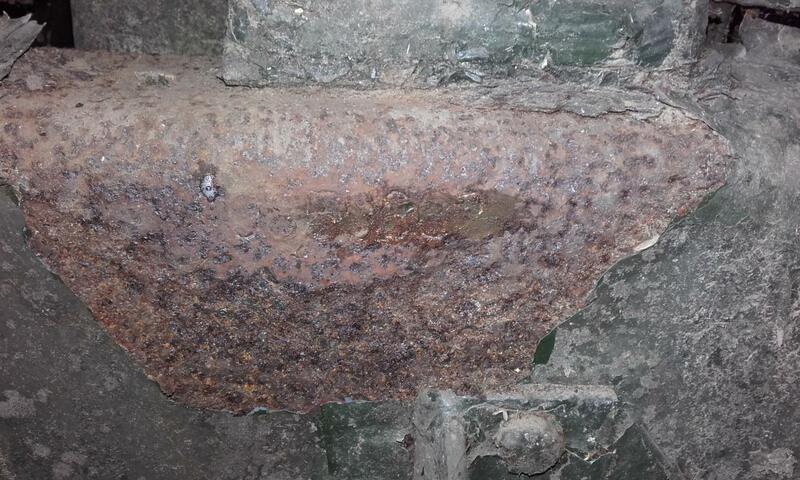 I say appears to be, because as you can see, there is a lot of rust on the chassis around where the number is and it is difficult to see, but 3 people have looked at it and all come up with the same number. Hopefully the RCT at Deep Cut will be able to help me with it's Military record, and I'll be getting onto them in the new year. that all sounds and looks good . 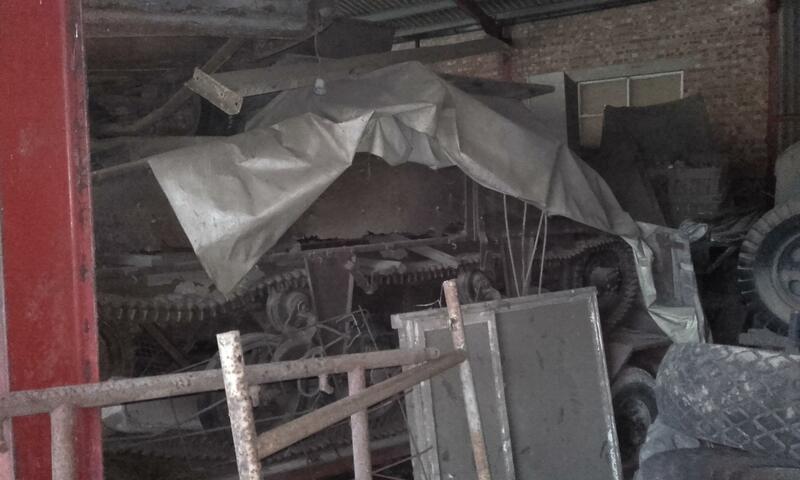 I recall there was an army plate with rego number, etc on nearside of chassis, either under the cab or just behind it. About 5 inches long by about 3 high. 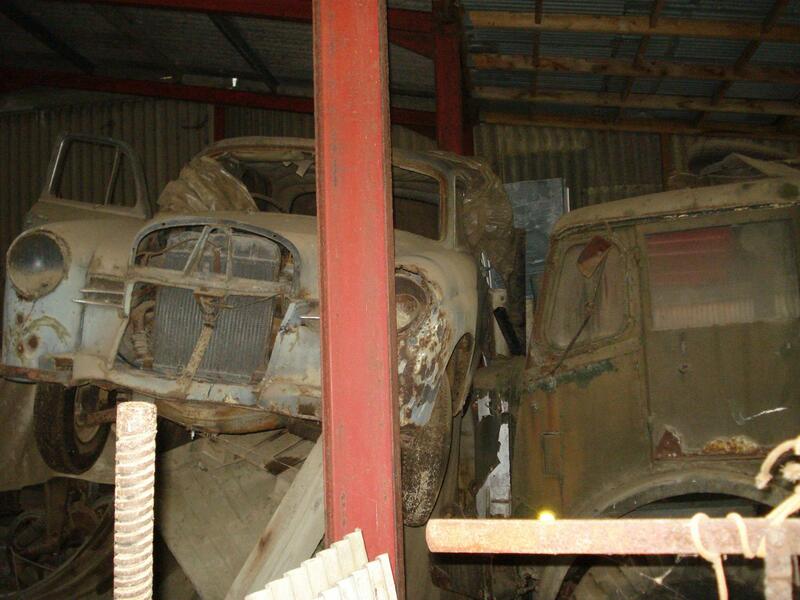 What a wonderful barn find and Christmas present all rolled into one. It is like you have found a time machine. What will happen to the original vehicle you went to look at, will they throw that in as a bonus? 2. Is the Merc also resting on a carrier of some sort? 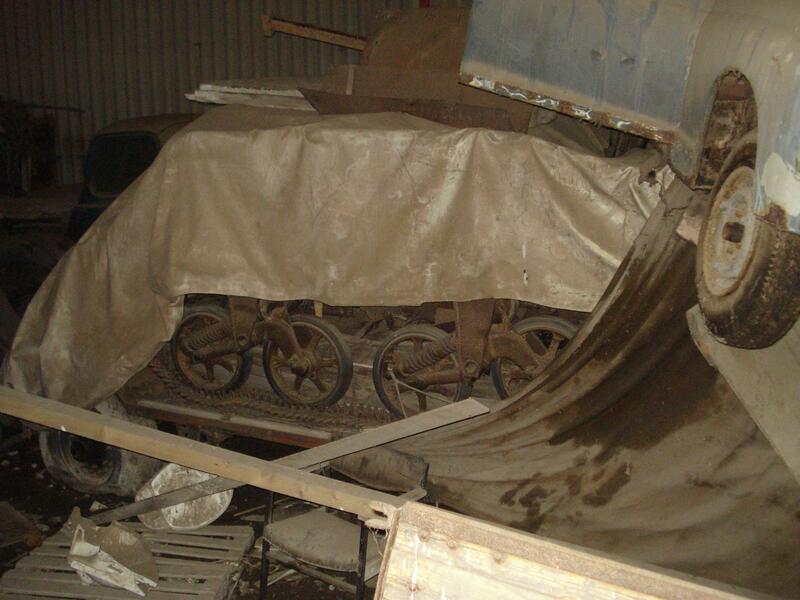 I can see tracks, a bogie, and what looks like side plating in a couple of the pics, but it's not ver clear. In fact, that barn looks much larger than it first appears. I wonder what else there is in there! Best regards and I will wish you a happy new year, although I'm sure now that you have this Militant, you must have a grin from ear to ear! 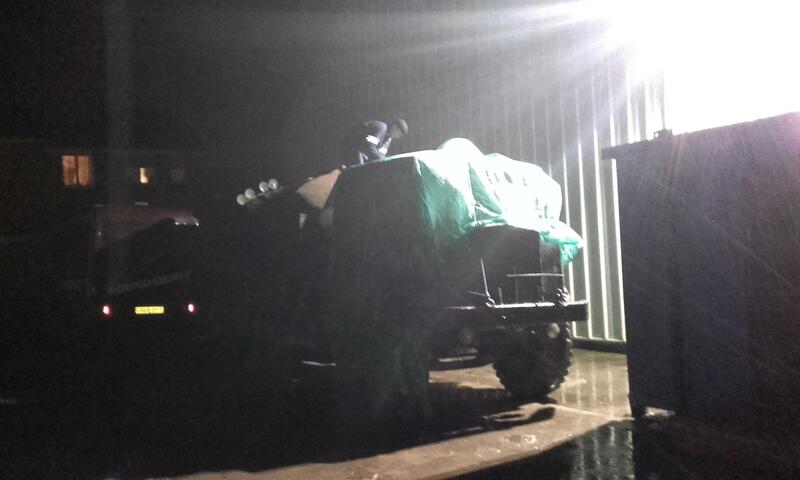 As David Herbert has observed and I also agree, it is a Loyd Carrier and it is sitting on a Sentinel 2 ton trailer. As always forum members spot more in the back ground than in the main picture. 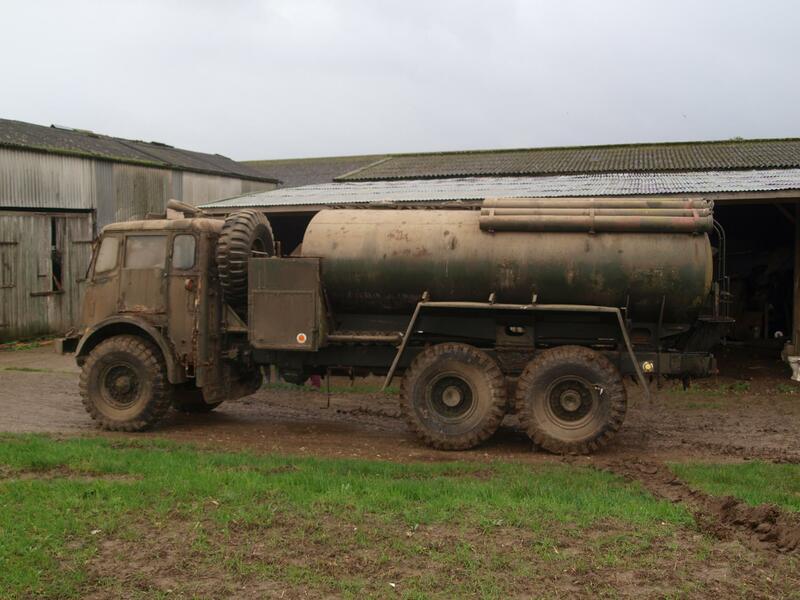 At the risk of sounding selfish I intend keeping the location and the owners details secret until I've secured my tanker in it's new home next week. 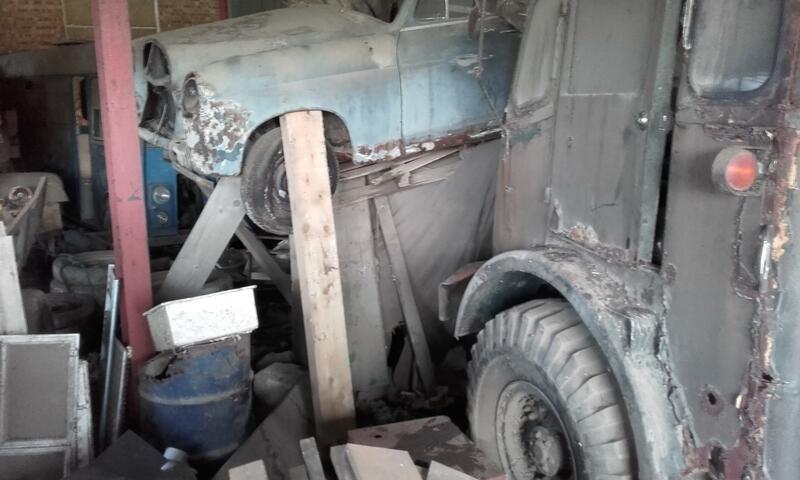 This is certainly the barn find we all dream of, and as I got a pretty good deal from the guy, I don't want anything to upset it. That said, as Martin suggested the barn is bigger than my photos suggest. It actually contains the following. These two. 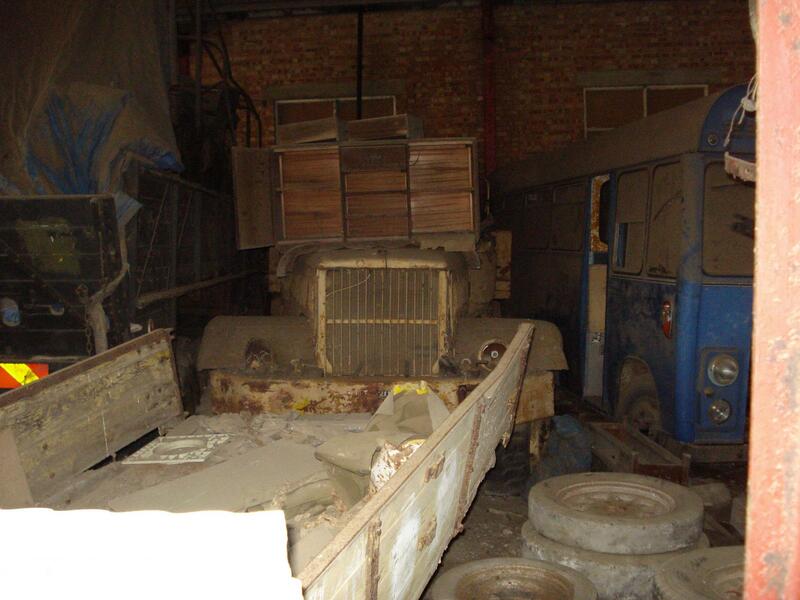 I think they are Leyland Hippo. Both look complete, and both have something stashed in the back but I haven't climbed up to see what. Ford ET6 Sussex. Owner said it was ex RAF only 1400 miles on the clock. 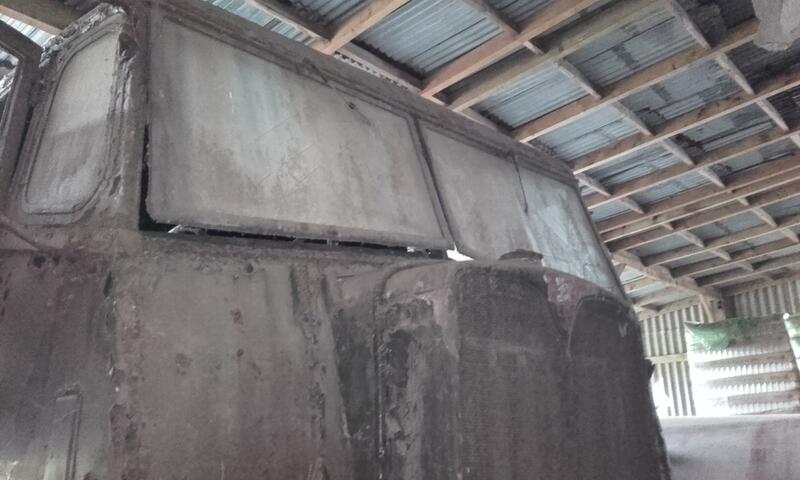 Cab looks complete but the roof is very corroded and about to fall in. 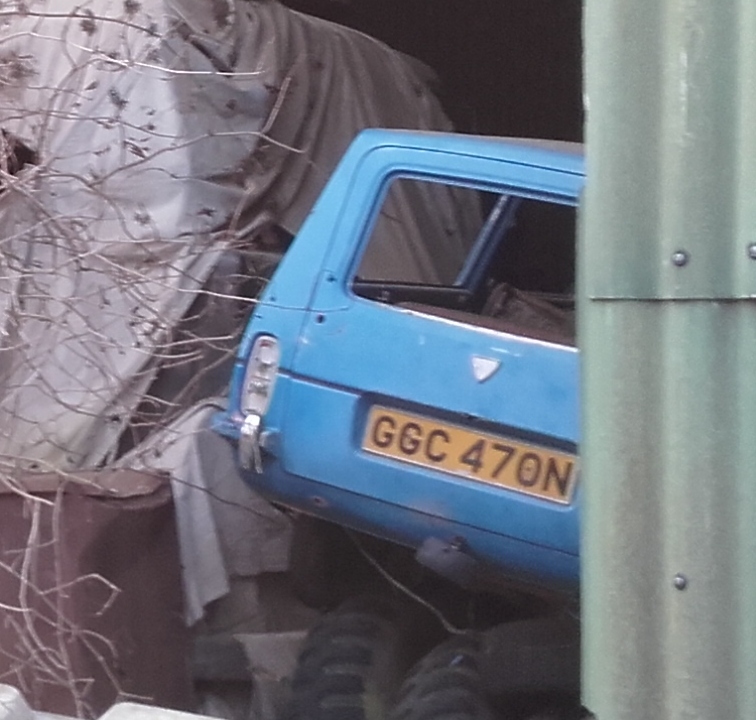 Reliant, spares for Rugged Robin? 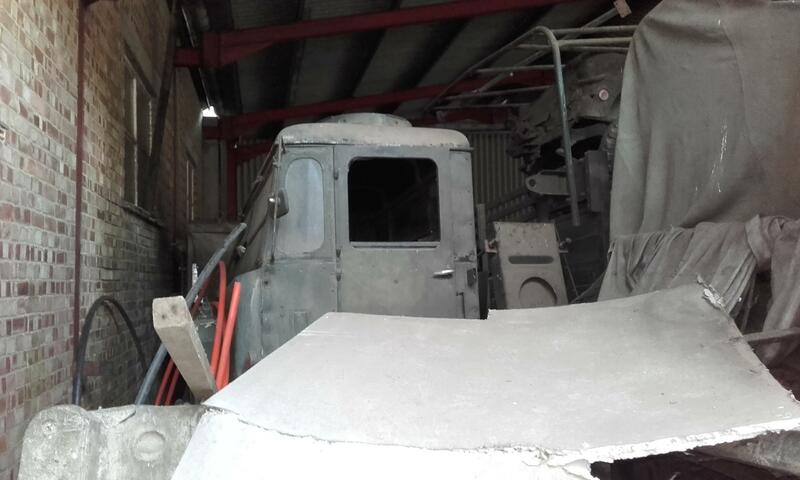 ...the sort of barn that has turned up in France from time to time but rarely in the UK, Good luck with your new acquisition and looking forward to other developments! really enjoying this and looking forward to seeing how it turns out! 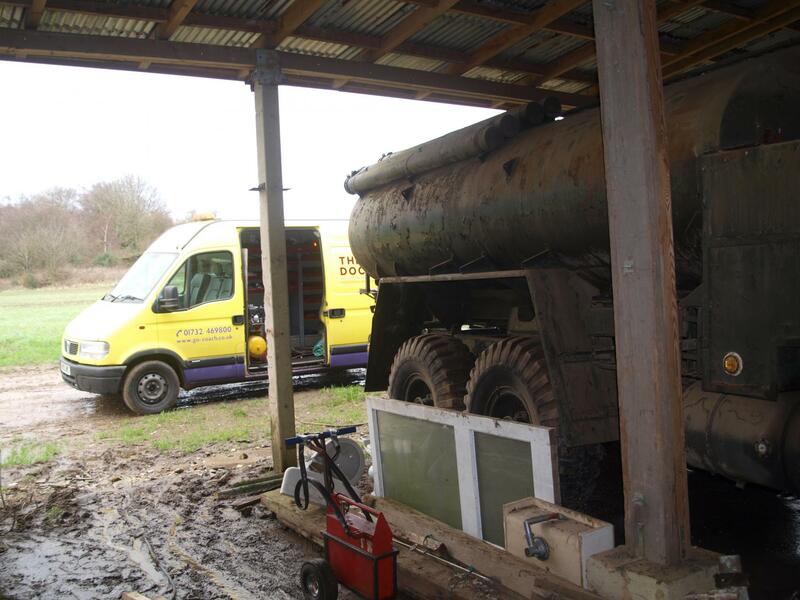 Didn’t need too much of an early start, tow truck wasn’t due to arrive until lunch time, plan was meet up with Son Stuart, nip into my work at Otford and pick up service van, then onto the barn. 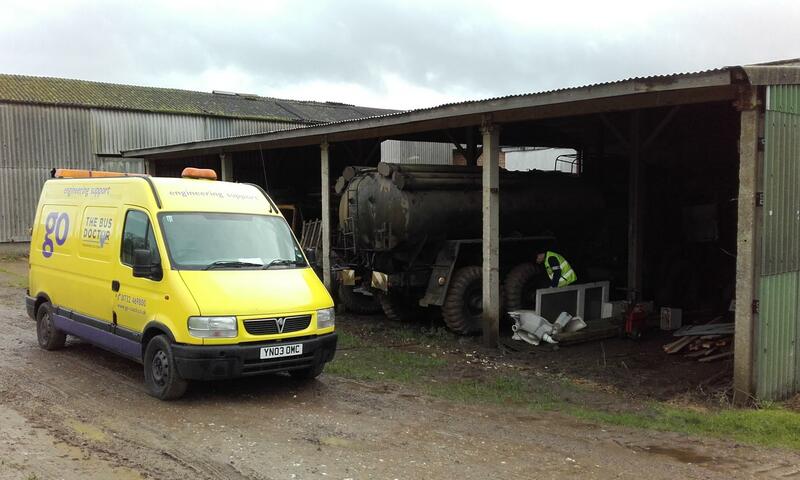 Pump the tyres up using van compressor, fire up the tanker and drive it out of the barn ready for tow truck to hook up. Easy? Next job hook up boost pack and start up. Should have been easy having had it going the other day. However the sharp eyed amongst us will have seen the boost pack in the above picture is set for 12 volts, not the 24 required for a truck. This was more than I noticed, the engine barely turned let alone start. Much cursing was heard as I assumed the boost pack was flat, and plan A had fallen at the first hurdle. Time was marching on and it looked as though everything was going to rats. Only one thing to do, go and find some lunch somewhere and hope the recovery gang have jump leads or a boost pack. Anyhow, a quick chat with the driver and a solution was found. One of their service vans was close by and he was summoned. On arrival he suggested connecting his 12 volt van to one battery and our “flat” boost pack to the other. Back to plan A then. Given the lack of brakes, all moving was being carried out carefully, sorry about the wheelspin, the throttle sticks now and again. Yellow jacket gets caught on the jagged edges of the broken steering wheel now and again, too, and that causes a personal issue could bring tears to the eyes. Still we are out of the barn and everybody is feeling pleased with things now. Quick photocall, and fag break for those who needed one. Only one issue, Low Loader is still about a mile away down the lane!! 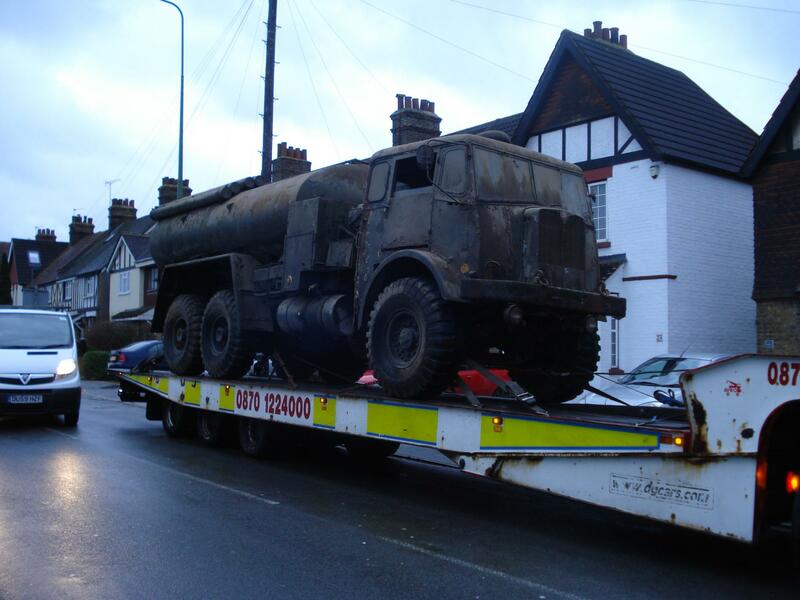 What a fantastic find and a lovely lorry. 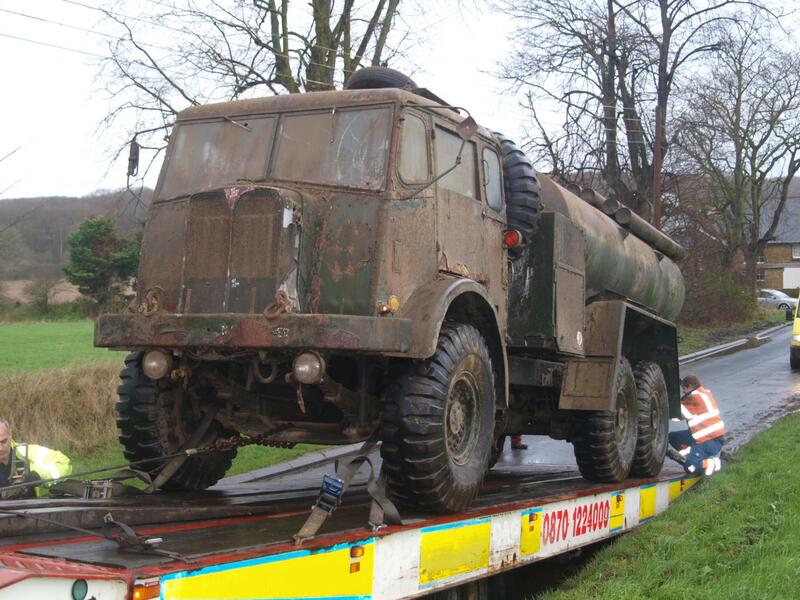 As the Low loader cannot get any closer than it is, the only answer has got to be drive the Tanker to it. 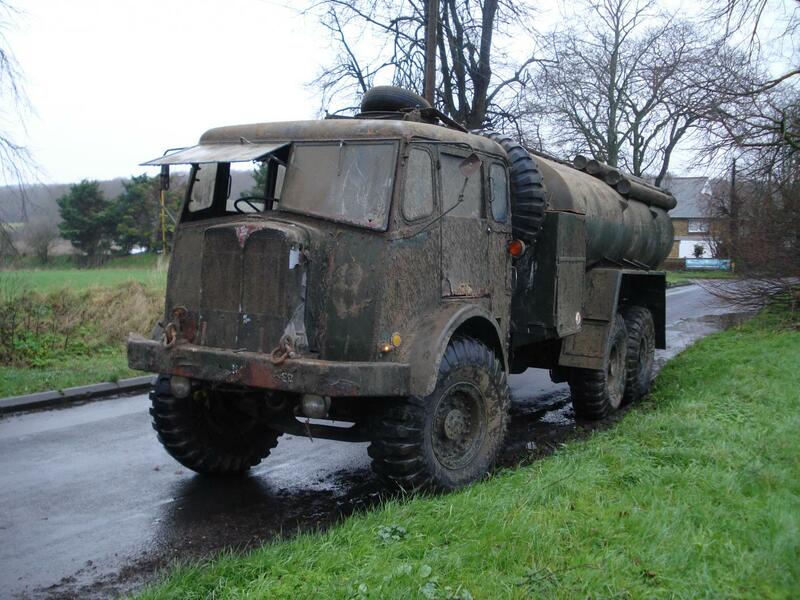 Service van could go in front with beacons and lights on,Tanker travels slowly in low ratio, if the worse happens I could shove it into the bank on the left hand side. Last time I was with her, I sprayed all the brake linkages with copious quantities of WD 40. This seemed to have freed off the hand brake and it did appear to work to a degree, which should help if needed. Not exactly the best plan but it was the only one we had. Still, plenty of lights, beacons and Hi-Vis, extra careful all round and we should be OK. It is after all only a country lane, not too busy! Deep breath then and off we go. Bit nervous at first, but, in the familiar surroundings of a Militant cab, confidence grows. She steers and rolls quite nicely, even changed up a gear! Caning it along now in second at about 4 miles an hour, checked rev counter and then speedo, all working. Fuel gauge shows just under ¼ of a tank which is about right, when I first started her last week I put 20ltrs in. Tried the horn and that worked too! Indicators wouldn't play though. Relief all round once parked at the bottom of the hill and loading could begin. Another car pulls up driver gets out to have a look. Remembers Militants from way back when he was a kid and his Dad was a REME “Tiffy” chat, chat, chat etc. They couldn’t have been more helpful. 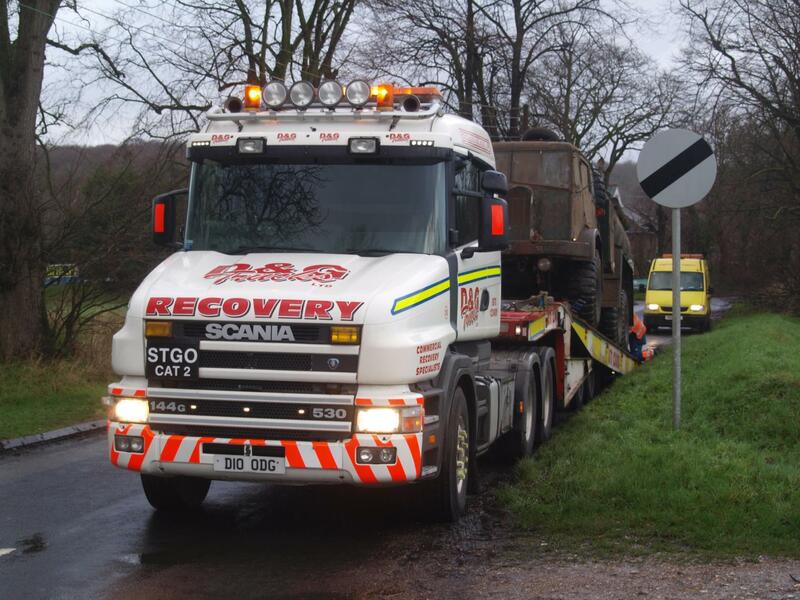 Decision to use low loader, rather than a straight forward tow truck, was their idea. 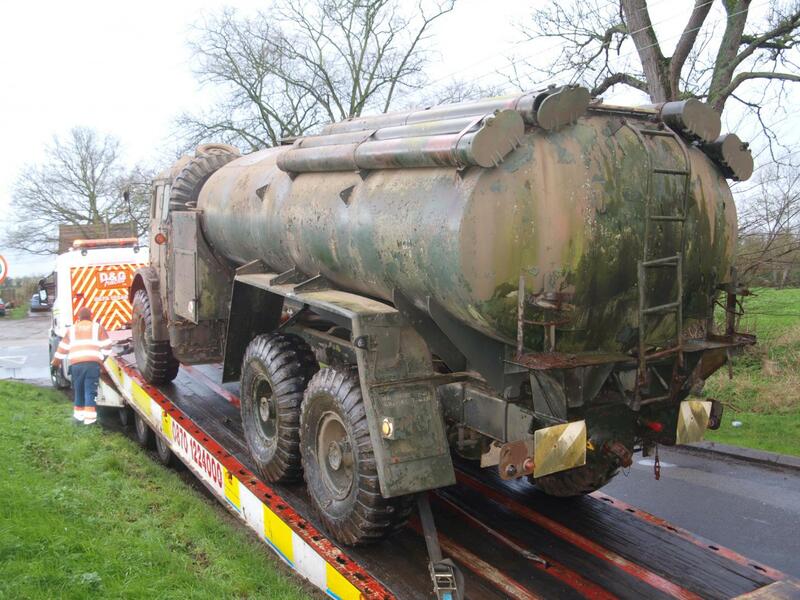 Given that the Tanker hasn’t been moved for the best part of 30 years, there might be issues if they just towed it. 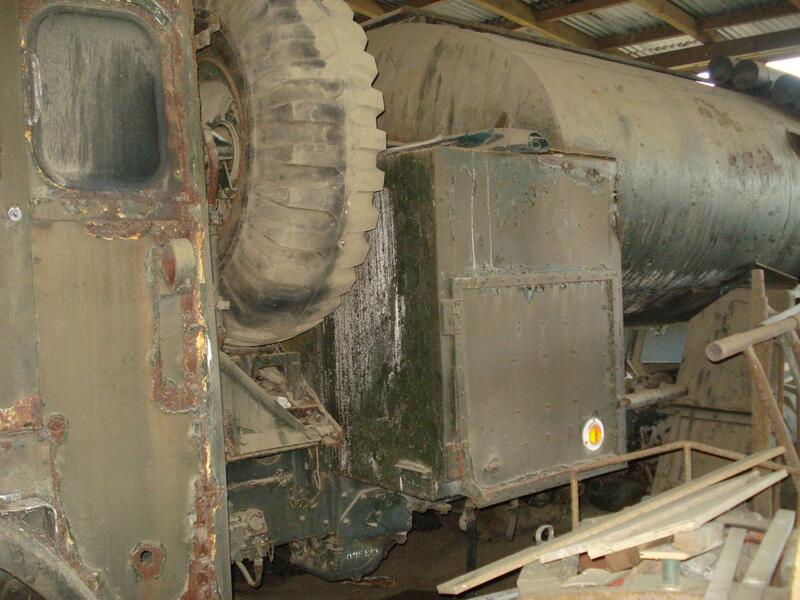 Low Loader would avert any potential disaster of seized wheel bearings or something. Half an hour later and we are causing traffic chaos outside the new home, but again plenty of lights and Hi-Vis helped. Amongst the chaos a car pulls up, puts hazard lights on and stops, not quite in the way, but right on the edge. Lady driver, so I went over to see what she was after. She wants to park on her drive way next to the red audi in the second picture. 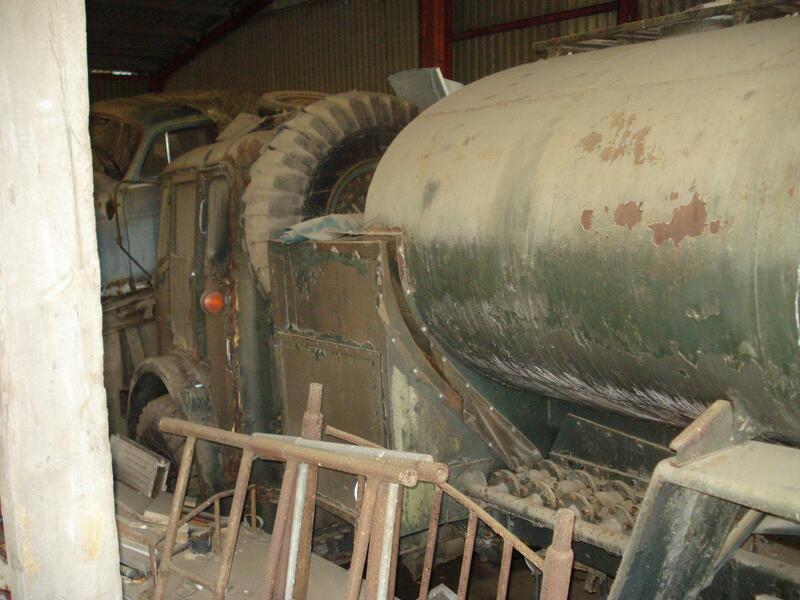 So I’m busy apologising for being in the way and she replies, no problem, she can wait, what a lovely old truck, etc. Would appear everyone loves it, already! Video is a bit shakey, (it was getting late in the day) but well worth seeing and hearing, in between the gusts of wind you can pick out the sound of that AEC engine purring away, lovely!